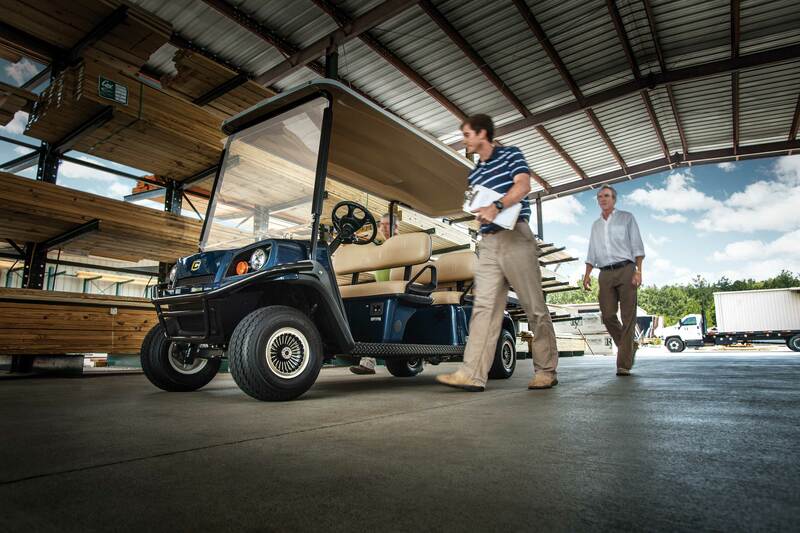 If you need a general-purpose vehicle to move around your facility, look no further than the Cushman® Shuttle™ 4. It combines four forward-facing seats with a spacious cargo bed for efficient transport of personnel and equipment. Available with a 48V electric drive chain, the Shuttle 4 keep passengers and their gear comfortable on the move.